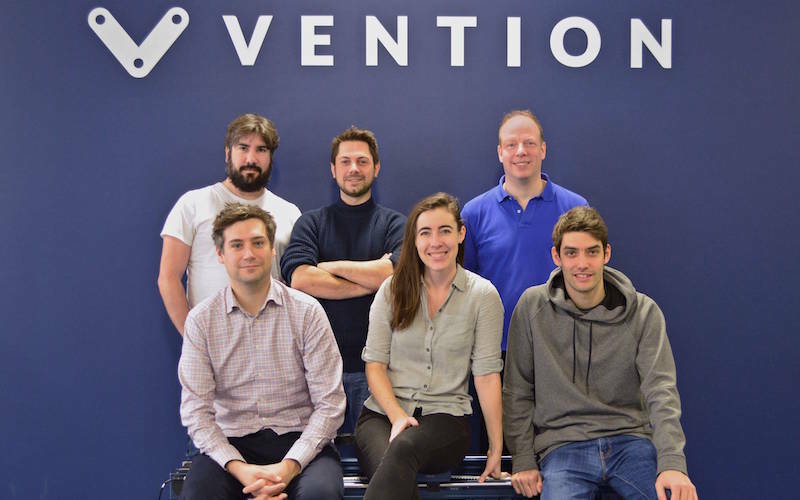 Vention is announcing a $17M CAD Series A financing round led by Bain Capital Ventures. This marks the first time the venture arm of Bain Capital will write a cheque into a Montreal company. The funding will accelerate the development of Vention’s cloud-based MachineBuilder 3D software, and expand its modular hardware library. Bain Capital Ventures joins Vention’s previous investors White Star Capital, Bolt, and Real Ventures. Ajay Agarwal, Bain Capital Venture’s managing partner, will be joining Vention’s board. Ajay Agarwal is recognized as a prolific investor, twice named to the Forbes Midas List of Top 100 Venture Capital Investors, and as an operator helped scale revenues to $300 million at Trilogy, a software company out of Austin, Texas focused on developing software for Global 1000 companies. Vention has radically changed the way companies design and order custom equipment for their operations. Traditional design-to-build workflows for custom equipment take anywhere from one to six months, depending on the project’s complexity. Vention’s modular components and easy-to-use cloud platform enable those same workflows to be completed in as little as three days, including shipping (which is offered next-day throughout North America). 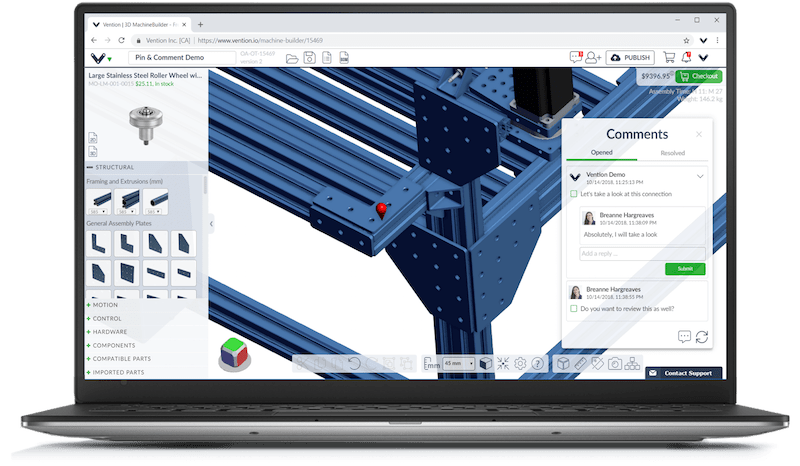 Vention’s new platform release focuses on the user experience, integrating hundreds of new features such as smart part connections, comprehensive design collaboration tools, and a learning algorithm that predicts the next parts needed in a design. It also includes 200 new modular and machine components that cover a broad array of use cases in automated equipment, robot cells, tooling, and conveyors applications. “Building a large-scale industrial business takes a special breed of investor. We are excited to partner with Bain Capital Ventures, which has a long track record in our industry,” said Étienne Lacroix, Vention’s founder and CEO. “Working with Bain Capital Ventures also means we’re bringing an investor on board with a deep understanding of our manufacturing clients’ needs”. company was founded in 2016 and is headquartered in Montreal, Canada.